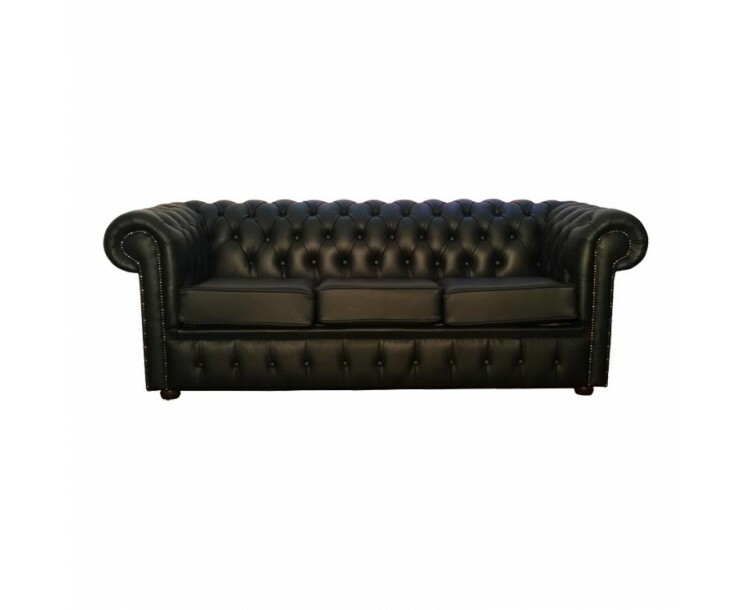 Our finest Black Chesterfield 3 seater sofa is hand made in the UK using 100% genuine leather. This British classic has metal stud beading around the curved arms, adding a vintage touch with its deep buttoned arms and back, making the Chesterfield sofa comfortable and relaxing. 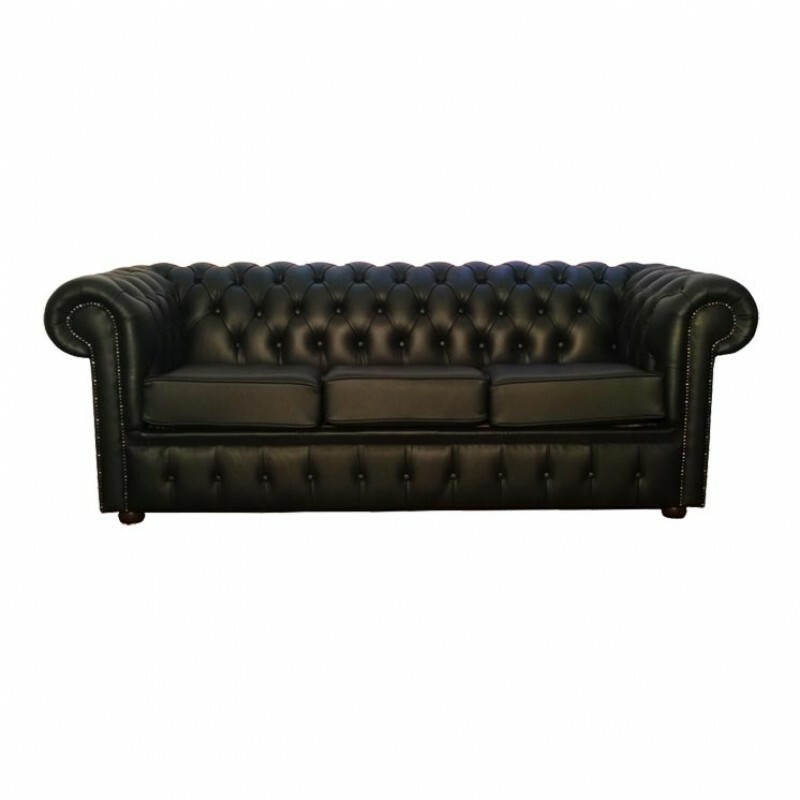 Its solid wooden frame and mahogany feet give the Chesterfield 3 seater sofa a sturdy and durable finish. All deliveries to England, Wales and selected areas in Scotland will be done via our two man delivery service, all other areas please contact us see our Terms & Conditions for more information.